Being engaged and taking that next step toward marriage is one of the most exciting times in life. 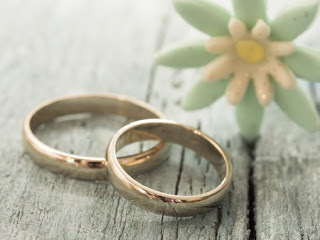 Many of the engaged couples that I counsel have used terms like: bliss, peace, a high, content, or satisfied to describe the feeling of finally finding "The One" with whom they are committing to spend a lifetime! Since getting married is a major life change, many people make it a priority to seek couples counseling or pre-marital counseling. Don't be afraid to consider what could go wrong in the marriage. This may be difficult because the first couple of years are blissful. There is the tendency to have blinders on when you're in the "in love" phase of a relationship. Consider this, mature love develops from both good and bad times. It's OK to talk about things that you feel may cause problems later on as opposed to ignoring them and hoping they will go away. Every relationship has problems. It's better to face them now so they won't be such a shock to your union when times get rough. Through counseling, you will learn how to talk about your problems effectively in order to work together and solve them. What are the challenges or barriers to happiness that you forsee? A good counselor will provide a safe and open environment, which allows you and your partner to feel comfortable talking. It's important to use this time to be really candid, not only with your partner and your counselor, but with yourself. Don't hold back your true feelings. Give yourself permission to go deep and to be vulnerable. Besides, the more open and honest you are, the more you and your partner will gain from this experience. Identify your strengths as a couple. Your strengths are the assets that you both bring to the table of your relationship. They are what, quite possibly, keep you together. Is it the chemistry? Could it be the friendship you share? Whatever the strengths are, give yourselves credit, and plan on how you can keep growing together based on your strengths. Take advantage of this time to learn the art of listening to your partner, without judgment. Often, people are quick to respond without getting all of the necessary information before reacting. So much gets lost in conversation when you are planning your response versus really hearing what your partner is trying to convey. Tip- ask questions for clarity prior to giving a retort. Look for ways to validate your partner when he's talking, then respond or give your feedback. Learn the skill of listening, this will come in handy down the road. Consider your own personal qualities or patterns that may hinder the relationship. Do you tend to start arguments often? Are your spending habits out of control? Now is a good time to take an objective look at what things you can change about yourself in order to be a better partner. Be willing to discuss this in sessions and be open to feedback.